Juliana Herman is a Sr. Product Marketing Manager for Emerson Actuation Technologies. She has over 15 years of experience in Manufacturing and over 10 years of experience in Oil & Gas. She has worked for Cameron Valves & Measurement and Curtiss-Wright Flow Control in several roles focused on expanding market presence and growing revenues through strategic planning and implementation. Juliana has substantial experience in building new programs and departments, most recently launching the Houston Sales and Marketing office for Dynamic Air Shelters, an air inflated blast resistant shelter company focused on turnaround safety in refining and petrochemical plants. Juliana has a B.S. in Clothing and Textiles from Virginia Tech and an MBA from Rice University. Hami Arrington is Cofounder at One Foot Over, a digital marketing agency team of B2B digital marketing experts that specialize in SEO, PPC, Paid Social, and Inbound Marketing. Hami holds a BA in Public Relations and Marketing and an MBA in Marketing from Georgia State University. She serves on the boards of the Women’s Masters Network and Houston Chapter of the American Marketing Association. She also is part of Leadership Houston Class XXXVII. Natalie Navellier is Regional Vice President for Touchstone Investment. She is responsible for sales eﬀorts serving ﬁnancial professionals in South Texas and Louisiana. 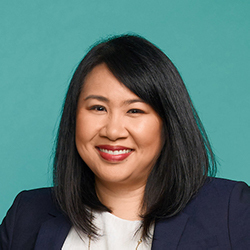 For the past three years, she was responsible for promoting Touchstone’s product lineup of mutual funds to wirehouses and independent channels in Southern California and Hawaii. Before joining Touchstone, Natalie was a client service associate for a wealth advisor at Gratus Capital Management, a registered investment advisor. Natalie earned an MBA in International Business from Xavier University and a BA in Economics from Emory University. 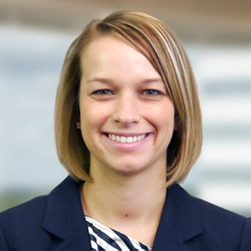 Emily Martin is the Marketing Manager for Calvetti Ferguson, a full-service public accounting and consulting firm that provides financial audit, tax, and corporate advisory services to public and private companies. Prior to Calvetti Ferguson, Emily held various marketing roles at EY, KBR and AkzoNobel. She is a Committee Member for the Young Professionals group of ACG Houston and previously served as the VP of Marketing for the University of Houston chapter of NAWMBA. 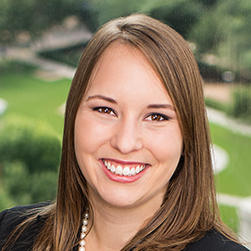 Emily earned an MBA from the University of Houston with certificates in Global Management and Leadership Development and a BBA from Texas A&M University in Marketing. 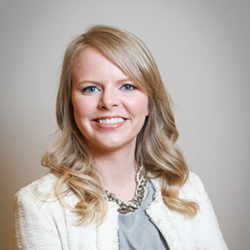 Jennipher Cole is currently Senior MBA Admissions Officer, Greater Houston at the University of Texas at Austin. She has a BA in Psychology from Loyola University New Orleans, an MA in Marriage and Family Therapy/Counseling and Women’s Studies, and an MBA from The University of Texas at Austin. 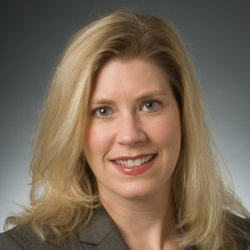 Heidi Herzog is Manager, NGLs Business Development for Phillips 66. Since joining Phillips 66 in October 2013, she has been responsible for developing business opportunities around Phillips 66’s Midstream and Refining assets. Before joining Phillips 66, Heidi held various roles at BP including business development, optimization, risk management and marketing within BP’s Integrated Supply & Trading and Upstream Supply Chain Management organizations. Prior to BP, Heidi held commercial roles at Enron, Duke Energy, Clark Refining & Marketing and Archer Daniels Midland. Heidi earned an MBA from Washington University’s John M. Olin School of Business and holds a Bachelors degree in Economics and Finance from Simpson College. 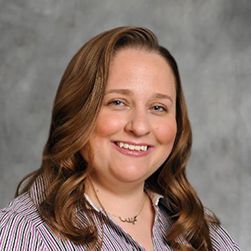 Leslie Speights is an Account Executive with Questback, Inc., a SaaS enterprise feedback platform provider specializing in employee engagement, customer experience, and market research. 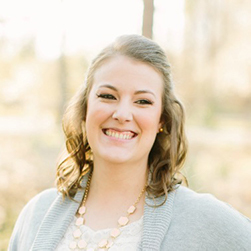 Prior to moving into software and sales Leslie spent 8 years in oil & gas in data analytics, market research and marketing management for Champion Technologies (now NalcoChampion), Cameron and Schlumberger. Leslie hold a BS in Economics from the University of Houston and an MBA concentrated in Marketing from Northeastern University. Karina Larsen Evers is the Marketing Manager for Arundo Analytics, a provider of analytical and predictive solutions that raise utilization and performance in asset-heavy industries such as maritime and energy. Prior to Arundo, Karina has worked in upstream oil & gas and telecommunications. Karina holds a BSc in International Management with a minor in French from Butler University and graduated with an MBA with an Energy/Management Consulting concentration from Rice University in 2009. 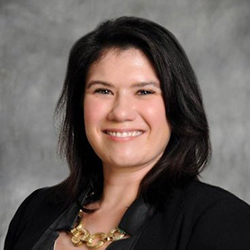 Karina is currently the Women’s Masters Network (formerly NAWMBA Houston) President, following a term as Vice President and a term and half as Secretary from 2012-2017. Karina was also the VP of Marketing for the local Rice student chapter from 2008-2009.